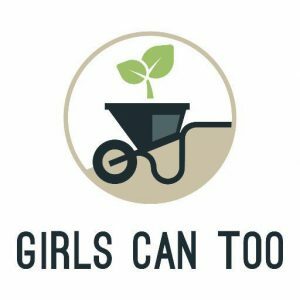 Registration for Girls Can Too Summer 2019 is NOW OPEN! This year Girls Can Too will focus on Grades 7 to 10. If you are in Grade 11 or 12 and are interested in volunteering, please contact us at girlscantoo@trca.on.ca for alternative opportunities. 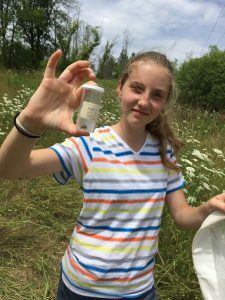 In addition to the day activities at Bolton Camp, Girls Can Too for the week of July 8 will include two nights of overnight camp at TRCA’s beautiful environmental education facility Albion Hills Field Centre, nestled in the rolling expanse of the Oak Ridges Moraine in Caledon. This overnight experience will include night hikes, star-gazing, and campfire activities. 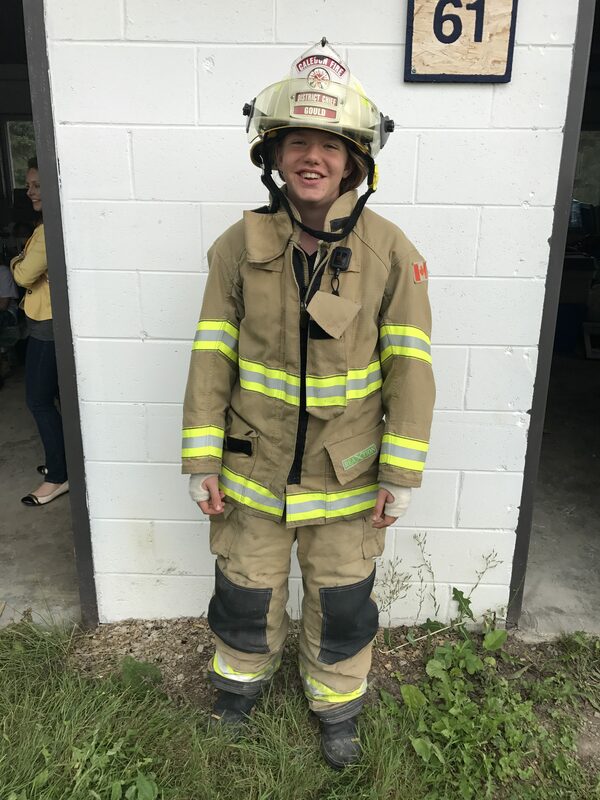 Each of the overnight experiences will be run in partnership with Albion Hills Field Centre. Participants will be supervised by experienced Albion Hills Field Centre staff. Participants will sleep in indoor, air-conditioned dormitories with washrooms and showers, and will be provided with three healthy and delicious meals in accordance with the Canada Food Guide guidelines. There is a fee of $168/participant for this overnight experience which includes meals and accommodations. For more information on the facility, visit trca.ca/ahfc. 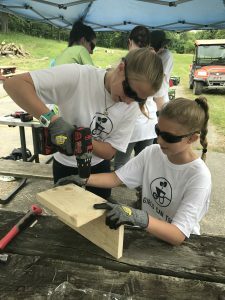 The Girls Can Too program provides young women with hands-on learning experiences in construction and ecology. 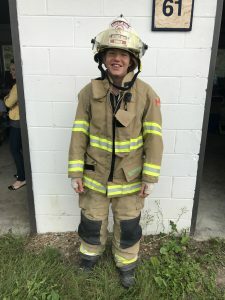 The program is spearheaded and delivered by three female university students, and includes mentorship and training opportunities with females from a variety of professions. Upon completion of the program, participants receive a certificate verifying their hours of community service to the Bolton Camp, which can be used towards their high school diploma. 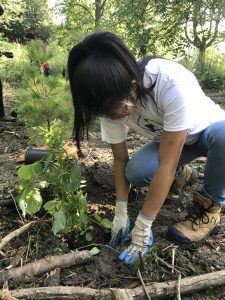 In 2018 we worked on several projects that will help contribute to the revitalization of Bolton Camp and improve the ecosystems that are vital to the health of the Humber River watershed, including: tree planting, trail restoration, building habitat structures, restoring a ravine, and building a trail kiosk. All projects contain construction and ecology aspects that will enable participants to gain hands-on skills, learn about the natural environment and sustainability. Female mentors will provide practical instruction, positive leadership, host workshops and share first-hand experiences during Lunch N’ Learn sessions. Questions about Girls Can Too? Participants will restore one kilometer of hiking trail, which will benefit the ecological heritage of the landscape, and provide the community with access to additional recreational space. Participants will plant trees and shrubs to restore woodland habitat impacted by the Emerald Ash Borer, and restore habitat along a ravine to improve biodiversity and prevent erosion. Participants will build a trail kiosk, in addition to completing various workshops and training sessions related to the project, such as design and construction. The work will connect sustainable design and ecology by building an artistic kiosk that provides interpretive signage communicating the importance of habitat for native wildlife, while cultivating connections for visitors to the site’s trails and natural ecology. 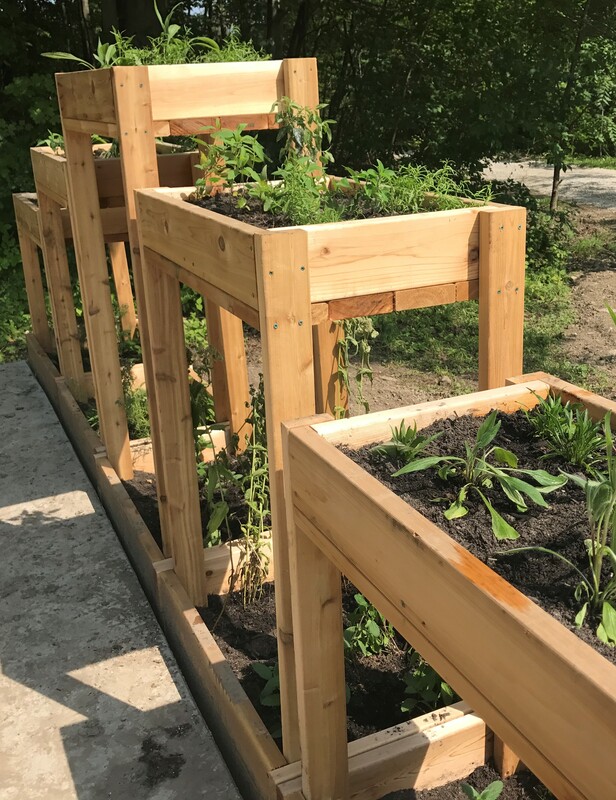 Participants will build and install several habitat structures repurposed from abated ash trees that will provide shelter and nesting sites for local wildlife. These habitat features will include nest boxes and habitat piles. 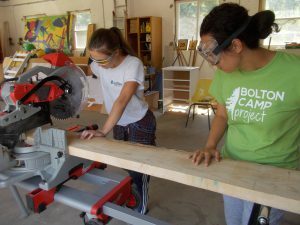 During this project, participants will learn how to use a variety of power tools and obtain the technical skills required by the trade industry. On each Friday, professional woman will join us for an hour over a Lunch and Learn session, and inspire the participants with their stories about how they achieved a non traditional career. This is an engaging discussion where questions and conversation are encouraged. Lunch we be provided in kind by a local business in Bolton. Throughout the week, participants will be introduced to a variety of educational topics including wildlife identification, forestry, invasive species management, nature inspired art, microplastics, and more! We would like to extend a big thank you to all organizations, and community members for their support of this initiative with time, mentorship, financial and in-kind donations. The success of this program would not be possible without your generosity and guidance.